The War of “Sleep Training” and “Attachment Parenting” and Why I’m so Over it! I have loved being pregnant! Also I have loved preparing for the birth of our baby girl and how we are going to parent her in her first year. I have read books, talked with experienced mommies who I highly respect, Rob and I have discussed it at length what our belief systems are, and have read as many peer reviewed medical studies as possible *Note the keyword “peer reviewed”*. So after eight months of reading, research, and a little prayer, we have a really good idea of how we want to raise our baby. Rob and I have deeply engrained in us what type of parents we want to be. We have a plan on where she will sleep, how long I plan on breastfeeding and what age we plan on weaning. We know when and how under what situation she will be baby worn, if/when she will cry it out, and if we will sleep train and at what age. These plans we made are flexible as we may have to do some adjustments based on her personality and needs. And now I am not going to share ANY of our decisions with you! Why? Because it has been very clear to me in the last 6th months that there is a war against attachment parents and parents who choose to ferberize. Not only that but parents become extremely defensive of their choice. Even worse they think how THEY have chosen to raise their children is the magic way all parents should do it. I recently had a saw a very sad moment on Facebook when a mommy I know asked to borrow the book “Baby Wise” – if you are not familiar it is a book about babies and schedules. That was her only question was hunting down this book so she didn’t have to go out and purchase it. There was over 40 comments from other moms saying why she should not practice schedules and just go with the flow. That she should just absorb every moment with her child. All great advice but this was unsolicited advice. She was not asking for help, she was not asking for opinions, she was asking for a book. Here is another problem: these commenters are NOT the mother of this child. This mommy knows if her baby thrives under schedules or if he thrives with a more attachment style, this mommy is with her baby 24/7. She knows how he does best during the day and in the evening. All these mommies know who are giving advice is what work best for THEIR OWN CHILDREN. So why the battle? I think the battle stems from the fact these styles are so different and there is valid research to support them both. That attachment parents believe letting a child cry it out is cruel and ferberizing parents thing that attachment creates children who lack independence and “wild children”. When it boils down to it, we are all just trying to do what is best for our babies. A mother’s love is so strong that she would never do anything to hurt her child, she is just simply doing the best she can to raise the healthiest child possible. No matter how you parent your child, I am proud of you. Parenting is the most selfless act. The love you have for your child usually means you would never do ANYTHING to harm your precious babe. Also every babes have different needs and some even with special needs where parenting style must be adjusted. Example: I can’t do sleep with my baby. The pain meds I am required to take at night for chronic pain make me fear I would roll on top of her and a horrible accident would happen – hell I’ve even rolled onto my dog several times. Instead she is in a Moses Bassinet one foot away from me. It’s not because I’m a heartless mother but because I know this is the safest thing for my child. So instead of tearing down each other and judging, how about we support and celebrate our differences! Why don’t we acknowledge how hard parenting is and realize we are all just trying to do our best. We have to know they all babies are different and require different needs! Even better, let’s celebrate the love we have as parents and the joy we found in our children. Our loving goal to create happy, healthy, selfless adults. Just say no to mom shaming! Great post! You raise your kid and I will raise mine! But I’ll also be here IF you ask for help! I’m so excited for you to experience motherhood! It is such a journey! I would say though that mom shaming only exists for those who let it. If someone shames the choices you make, it is up to you whether or not to be defensive or offended or to let it roll off your back and keep on keeping on. 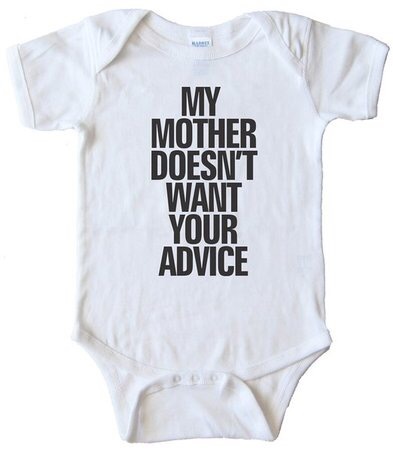 On that note… I also encourage all new parents to always be open to all advice and info! Use what makes sense to you and let the rest go! Parenting is hard. The hardest. You never, ever know what little tidbit you heard from some random parent in the mall is going to save your sanity at 3am, or make you feel less like tossing your toddler’s favourite light up musical toy out of the window of a moving vehicle! Some of the best perspective comes from outside your own experience! My thoughts exactly. What’s right for one baby may not be right for another. Mom’s should be free to decide what’s best for their individual children. I have three….trust me, they aren’t the same. At all. No mom shaming will come from me for sure! Best post ever! I hate all the mom shaming! You are right! Every mom knows their baby and what they are comfortable with doing as a mom! Beautifully written Gwen! You are going to be the best mommy & mommy advocate! Thanks Eryka.. You are always the sweetest! Gwen, I love this post. The mom shamming needs to stop. At the end of the day we as mothers are all doing what we feel is best for our own children. If a parent is doing what works for their child and family and said child is happy and healthy, the only thing they’ll hear me say is “good job.” Great post Gwen! Yes. As long as the parent is making informed decisions, then the decisions they make are right. End of story. Thanks for sharing this! I want to shout this to people all the time that tell me what I should do. I have friends that are going to be new mommies and when they ask I tell them what I did and am doing but the biggest advice I give is to trust your instinct and listen to your babies needs. At the end of the day you have to do what’s best for your family. Sometimes I may not agree but I know I’m not them and can’t possible understand what works best for them. Absolutely agree with you! I’m of the mind that a mama has to do what a mama has to do, rather than feel judged or harshly judge others. We should praise one another for raising a family rather than the constant nit picking. Love this post and love your content. You have a follower in me!